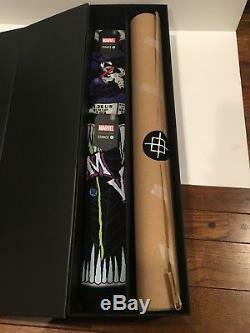 STANCE 2018 New York Comic Con Exclusive VENOM Amazing Spider-Man 316 Poster and 2 piece Sock Set. 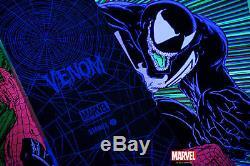 Limited Edition 1/100 Exclusive Amazing Spider-Man Issue # 316 VENOM Blacklight Poster. Only version to mostly keep the original color scheme of Venom and Spider-Man (only Venom's tongue is different). The other 2 posters (green and blue) changed a couple highlights. 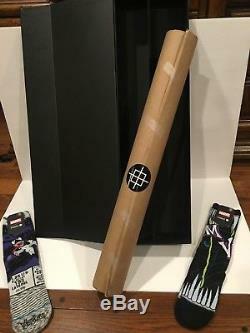 Poster is still completely wrapped and sealed. I do not know the actual number of the 100ct run. 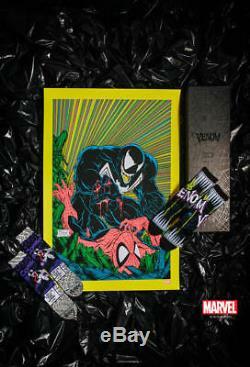 Artwork done by Todd McFarlane when the 2nd appearance of Venom was introduced. 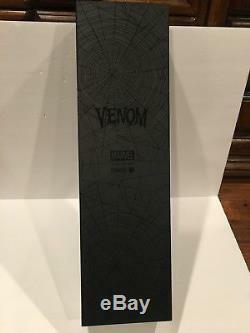 In my opinion the finest and best Venom cover ever. 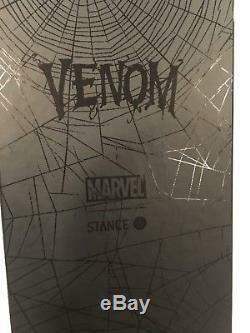 You get 2 pairs of Venom related STANCE Socks in this set. 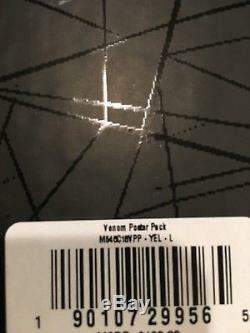 One is his mouth and teeth, the other is Venom and the issue number design. 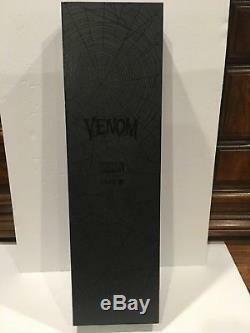 To keep everything together and safe is a nice quality Black case with Venom logo and spiderwebs all over it. 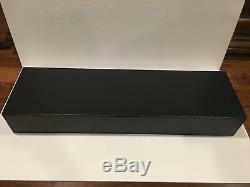 Has magnets on the flap to keep it closed properly. 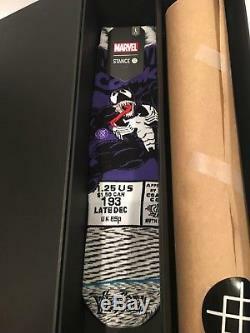 Sections for the socks and section for the rolled poster. PLEASE SEE PHOTOS TO SEE FURTHER DETAILS. 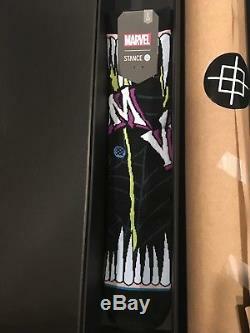 The item "Stance NYCC 2018 Marvel VENOM 1/100 Blacklight Poster & Socks Set YELLOW Ver 316" is in sale since Saturday, October 6, 2018. This item is in the category "Collectibles\Comics\Posters". 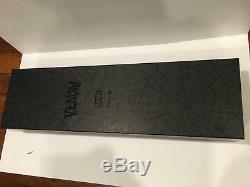 The seller is "esb80" and is located in Bayville, New York.